As this is being written, 2017 is half over and we have failed to make any comments about 2016. 2016 was a good year and we managed to end the National Cattledog Association (NCA) trial year (April 1, 2016 to March 31, 2017) with all of our trial dogs qualified for the 2017 NCA National Finals. Jan ran both Bisc and Glen in the Finals, which were held this year June 14-18 in beautiful and very friendly Afton, WY. Bob's Slik dog was the top point earner in the NCA Nursery class for 2016-2017 and received the Red Oliver Memorial Award. Zig was second high point earner in the Nursery class. In the Open points ranking, Slik was 4th and Zoe was 8th. Both ran in the National Finals. Slik qualified for the final run of the Finals in both the Open and Nursery classes for the second year in a row, won the first Nursery preliminary, was 6th in the first Open preliminary and was 6th overall in the Nursery. The 2017-2018 trial year is underway and, following the Finals, Jan has begun trialling Zoe. She will also run Bisc in the Open and Soch (a Glen x Bisc daughter) in the Nursery. Bob will run Slik and Zig in the Open and Slink (also a Glen x Bisc) and Rime (a Dime x Greta daughter from jeff Mundorf) in the Nursery. Slink will double up in the Open when the trial allows 3 dogs in the class. We are very excited about some young puppies we are starting. After having no puppies in most of 2016, we had a litter of Slik x Zig pups on December 30, a small litter of Slik x Bisc pups on January 13 and a small litter of Brock x Zoe pups on March 24. We still have (as of July 7) 6 of the Zig pups, 2 of the Bisc pups and 2 of the Zoe pups at the ranch. They all have showed interest and are starting to work. At least half will be for sale. 2015 was a very good year for the Wagner Border Collies. 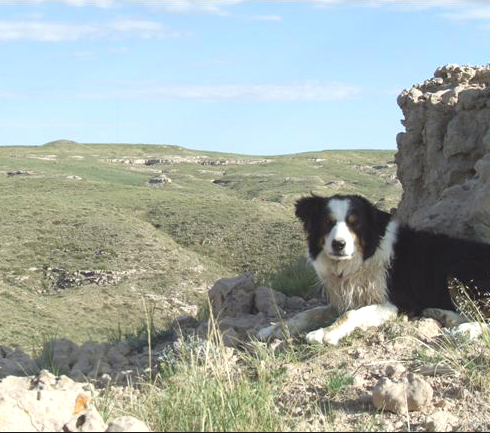 Jan, in only her second year as an open handler, won her first Open trial and, at the end of the year, had both her dogs, Bisc and Glen, with enough points to qualify for the 2016 NCA National Cattledog Finals June 16-19, 2016 in Meeker, CO. (Point earning year is from April 1 to March 31, so Jan's dogs may earn more points toward the 2016 Finals.) Bisc ended the year ranked 15th out of the 143 dogs that have earned Open class points. 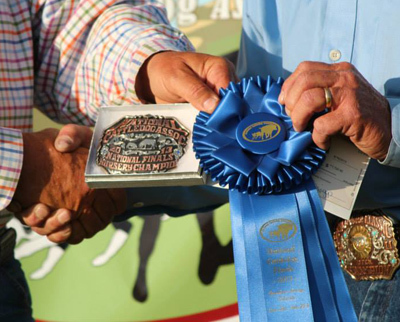 Glen was 3rd at the Wyoming State Fair and Bisc won the NCTA trial in Curtis, NE. Jan is working with Brie (Stripe x Bisc), Brock (Sam x Meg), Soch (Glen x Zoe) and Tang (Hank x Bisc) to find her Nursery dogs for 2016. Zoe had another outstanding year. She started the year by having a litter of 8 pups born on January 1 - a nice New Year's present. These pups were sired by Glen and we are very excited that we kept and still have 4 on the ranch. Slink, Sleek, Soch and Sass are all showing a lot of promise and we expect to be trialling at least some of them in 2016. Zoe had a relatively slow start in trialling, but came on very strong late in the summer. She won the Wyoming State Fair and the Colorado State Fair. She also won the first day at the Seven Bar Ranch trial and earned points (top 30%) in 10 other trials, in 5 of which she was either second or third. Zoe ended the year ranked 6th overall in the NCA Open class. Specter and Stripe, Bob's other main Open dogs, also had good years and both have earned suffcient points that they should be qualified for the 2016 Finals. Specter is automatically qualified since he won the NCA Midwest Regional Finals. 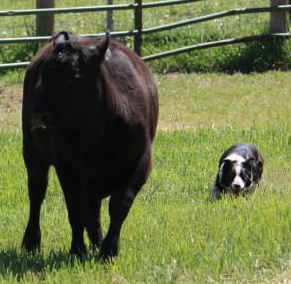 Specter and Stripe were run less at the end of the year to make room for Slik, Bob's lead Nursery dog, who is a JR Red x Zoe pup. Slik ended the year ranked 16th in the Nursery class (30 dogs qualify for the Finals) and 42nd in the Open class (50 qualify). Bob is also running Zig, a Stripe x Bisc pup and a littermate of Jan's Brie, in Nursery. She is still young and will be a very good dog, although she has yet to earn points. Both Slik and Zig will still be eligible for the 2017 Nursery Class Finals and we expect both to also run in some Open classes in 2016. Other potential Nursery dogs for 2016-2017 include Slink, Sleek and Sass (all Glen x Zoe) and Quinn (Hank x Bisc). We are very much looking forward to 2016 and are expecting another really good year. Bear was a very special dog. He was sired by Birch, our first working dog, a fully trained dog we got from Tony Stewart and the first dog we ever trialed. 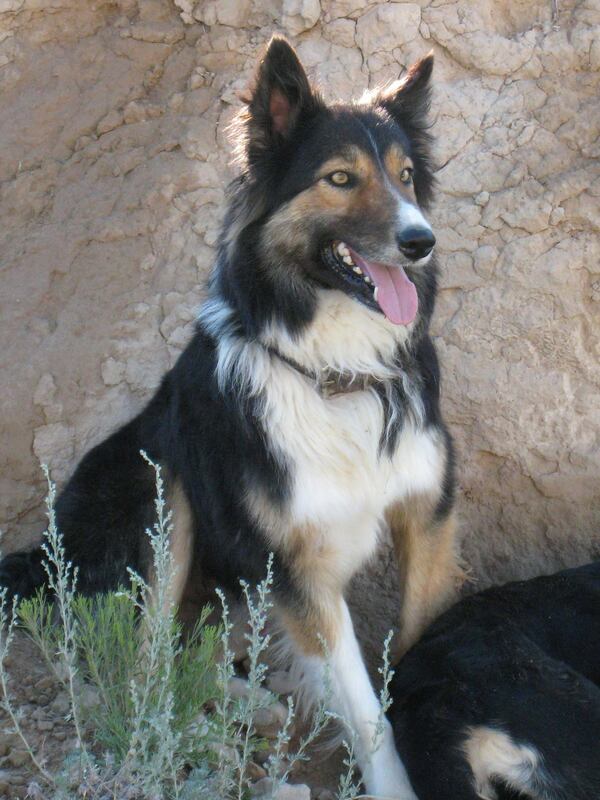 Bear's dam was Dori, our second dog, who we got from Dan Korf as a young started dog. 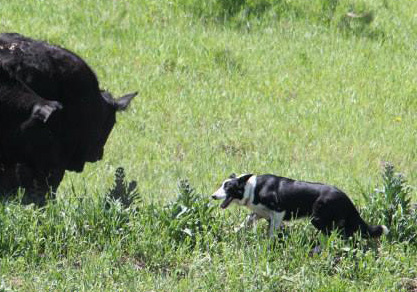 Bear was the first puppy born on our ranch that we fully trained and trialed and was probably the smartest dog we have ever had. He had considerable success as a trial dog, especially considering he was working for a beginning handler. Bear had a tough life. He completely tore his ACL and partially tore his MCL when he was just 11 months old and broke his front leg when he was 2. That break required 2 surgeries (he broke one of the screws after the first surgery) and he never completely recovered from the second surgery. He also began going blind, although none of the "experts" could tell us why (it was apparently not genetic). At his final trial, he collided with a panel he apparently did not see out of his bad eye, but still managed to win the trial. Bear sired Odi (pictured in our header), who qualified for and competed in 3 National Finals, twice competing in both Open and Nursery classes. We are still running and working Bear's descendents: Stripe, who will be running in this year's National Finals, is a grandson, and Zig, a great-granddaughter, looks as if she may be one of the best we have ever had. Bear had a huge heart. 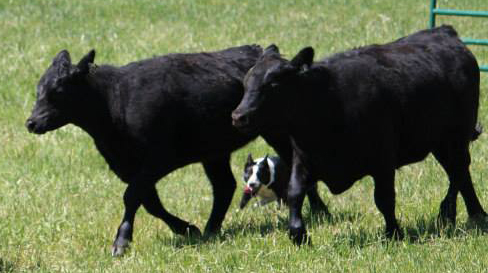 The day before he died he was hobbling out with us, mostly being in the way, but still trying to bite the head of a stubborn heifer he could barely see. We will miss Bear. Zoe is the best dog we have ever had. In 2013 she was the NCA Nursery class leader for qualifying points all year, finished second in Open class qualifying points and had 3 perfect runs at the first NCA National Finals to win the title of 2013 Nursery Champion. In 2014 she won the Pete Carmichael Memorial Award for the highest point earning dog in the NCA Open division. She has great cow sense, plenty of strength and a great heart. She is a pleasure to work. 2012 was a great year for Wagner Border Collies. We were pleased to be able to help the National Cattledog Association get off to a great start. The NCA began sanctioning trials on April 1 and we were able to attend 17 NCA sanctioned trials, 9 of which were two day trials. We traveled from Oklahoma to Idaho and saw many old friends and made many new friends. Zoe, who just began Open trialling this year, had an unbelievable year. In addition to having two litters by Odi (Feb 17 and Nov 15), she ended the year ranked #1 in both Open and Nursery classes. The qualifying year doesn't end until March 31, 2013, so she will need to work hard to keep those rankings, but we are very proud of her and, needless to say, she will be competing in the 2013 NCA National Finals, which are being held June 12-16 in beautiful Steamboat Springs, CO. Both Abby and Odi ended the year in the top 15 NCA Open dogs - out of 100 dogs with points! Unfortunately, we can only take one of them to the finals. It will be a tough decision. Jan and her dogs (Bisc and Sky) also had a good year. Jan is taking advantage of the new Intermediate class being offered by the National Cattledog Association and has become quite competitive, particularly with Bisc. Bisc had a nice litter of puppies in June (by Sky) and still managed to spend the summer trialling. She ended up the year by winning a Pro-novice class in Platte, SD and both a Pro-Novice class and a Nursery class in McCook, NE. Jan hopes to be taking Bisc to the NCA Finals in the Intermediate class. Sky is perhaps the best male in our kennel, but is very headstrong. As Jan gets him under control, we expect him to shine in the trial arena. 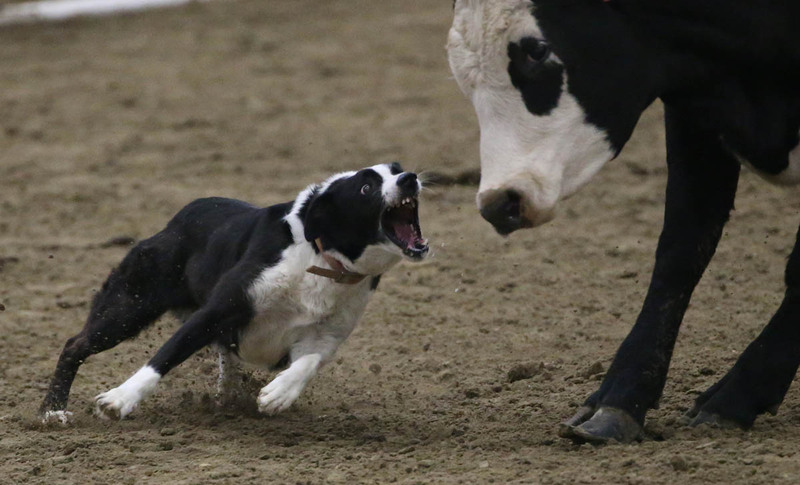 The National Cattledog Finals were held again this year in Redding, Iowa and it was a good year for Wagner Border Collies. Odi competed, for the second consecutive year, in both the open and nursery classes and was able to make the finals in both classes. He ended up 8th in the nursery class and 5th in the open. Abby also qualified for the open class, made the finals and finished 12th. 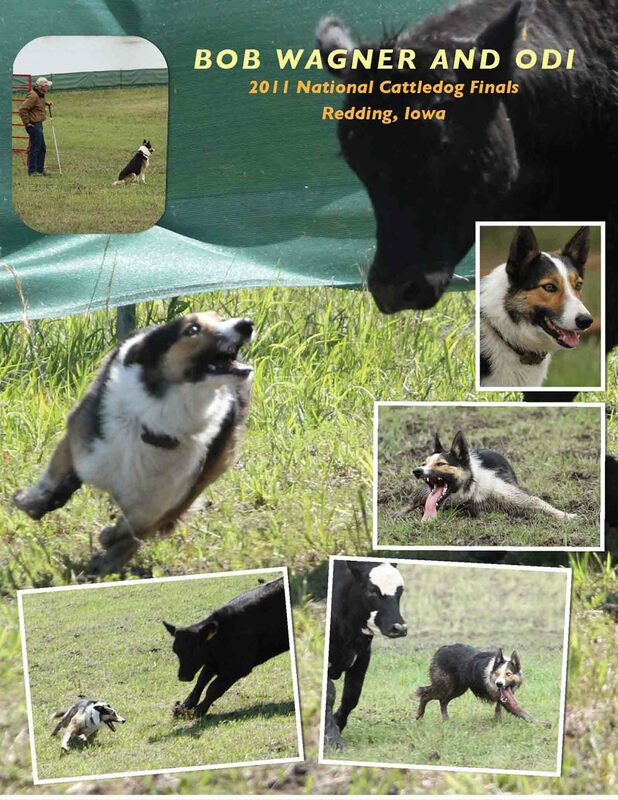 Three of our dogs, Abby, Odi and Spyder, qualified to compete in the 2011 National Cattledog Finals, which were held in Redding, Iowa, May 26-29. Abby and Odi qualified in the Open class, and Odi and Spyder qualified in the Nursery class. 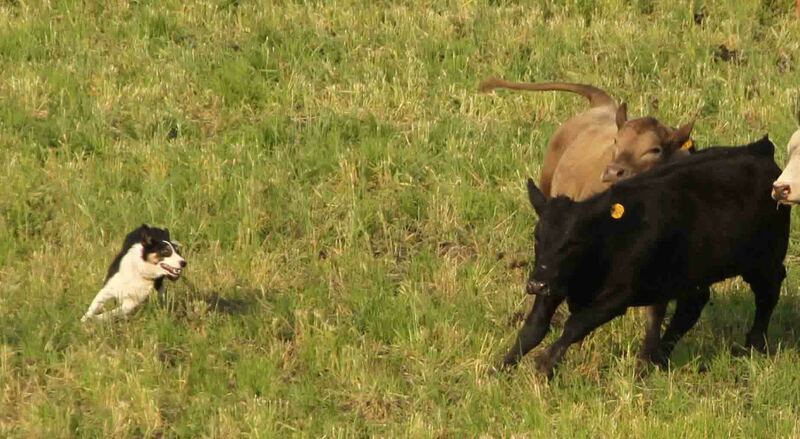 All of the dogs performed well in the preliminary runs, although both Abby and Spyder had one draw of challenging cattle. Odi did well in his open runs (23rd in the first run and 7th in the second run) and was able to qualify for the finals in the Open class. The top 20 scores qualify and Odi was the 12th high qualifying score. He ran well and placed 11th in the finals. We expect all three dogs to qualify for the 2012 National Cattledog Finals. Odi and Spyder are both only 2 years old and are, therefore, eligible to qualify in both the Open and Nursery classes. Wagner Border Collies is a key part of Wagner Ranch. Wagner Ranch is operated by Bob and Jan Wagner and is located in Northern Colorado, about 20 miles south of Cheyenne, WY, and 45 miles from both Fort Collins and Greeley. We are about 1.5 hrs from Denver and Denver International Airport. We breed, train and trial Border Collies and currently have 17 dogs in our kennel. We try to have two litters a year and sell both puppies and started dogs. 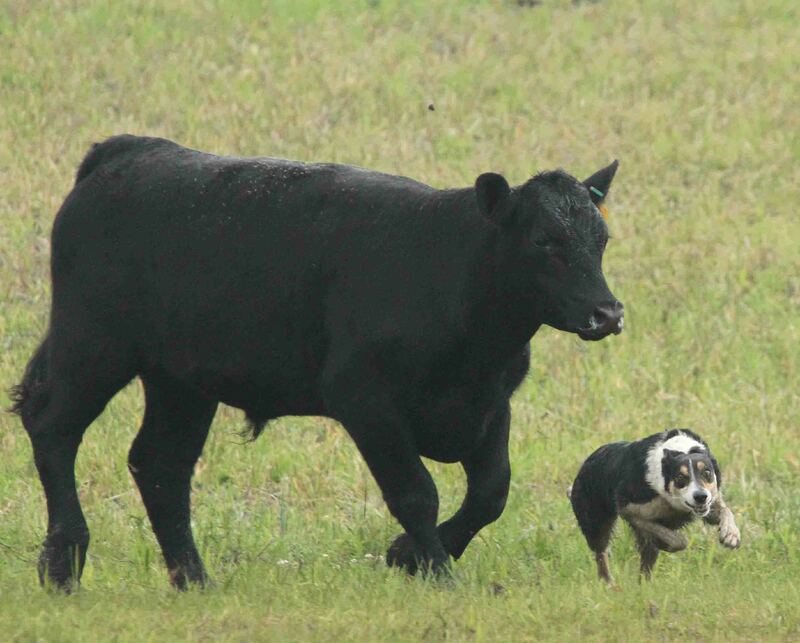 We bought our first trained Border Collie, Birch (picture below), in late 2005 to help with working cattle. He was a Christmas present from Jan to Bob and came to us from Tony Stewart. Birch was truly an outstanding dog. 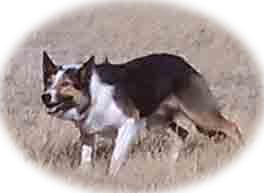 He was very smart, very strong and was successful in the trial arena, making multiple trips to the National Cattledog Finals. Birch and Tony placed 8th in 2005. 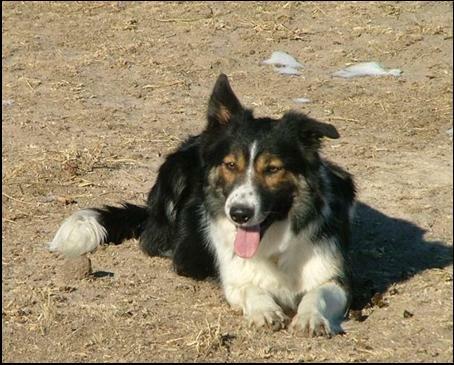 Our second Border Collie was Dori (picture below), a female we purchased from Dan Korf. We got Dori because we realized we frequently needed more than one dog and we were interested in becoming breeders. Dori had three litters for us and two of her pups are still in the kennel. 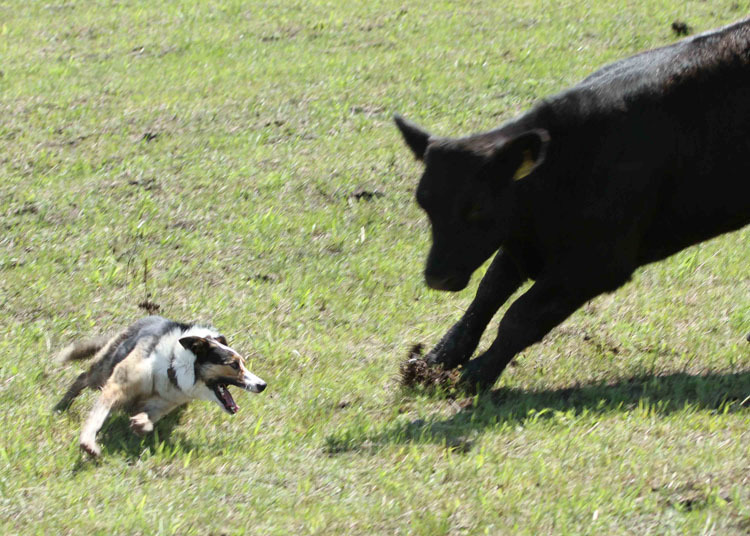 Dori also became a successful trial dog - Bob took her to the 2009 National Cattledog Finals, where she placed 14th. 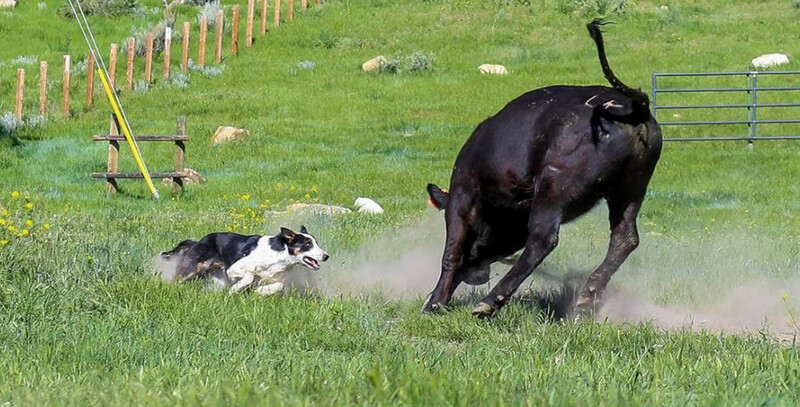 We will be at several trials in 2012, including the Wyoming Cattledog series, the Outback Stockdog series and the National Cattledog Finals in Iowa. We hope to see you at the trials. 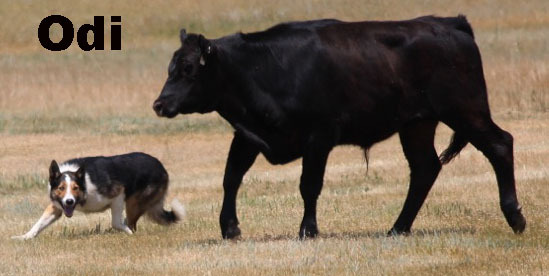 Also, we would like to invite you to visit us anytime at the ranch to see our dogs or to work dogs with us.